GlamGlow is touted as Hollywood's beauty secret weapon and after hearing all the glowing reviews (no pun intended!) in recent months I decided I must try it. Beauty victim - who, me?! This is basically a clay mask and exfolient in one - it has giant chunks of dried tea leaves in it - and once the mask was on, I kind of looked like a had a fight with elfs in the woods - all green with mud and littly ivy pieces and twigs stuck to my face! Not a pretty sight ! Application is simple though; cleanse with a cleanser and apply the mud to the entire face avoiding eye and lip area and let it set for about 10 minutes.The mud is chunky and rough, so apply gently to avoid bruising your face. It will tingle.. a lot... but it's bearable - sure, beauty knows no pain! Don'be scared, its me! With the mask on! I know I look like a deep sea creature from a horror movie. And its all worth it in the end - I really love the effect the mask leaves behind on my skin: soft and smooth with a beautiful glow. Sadly at price of €59.00 it is a defiently a splurge item and I will reserve its use for a special occasions when I want to look my best. If you have sensitive, delicate, dry, irritated, acne-prone or reddened skin, I probably wouldn't recommend you try this as it might aggraviate your problems. What about you? 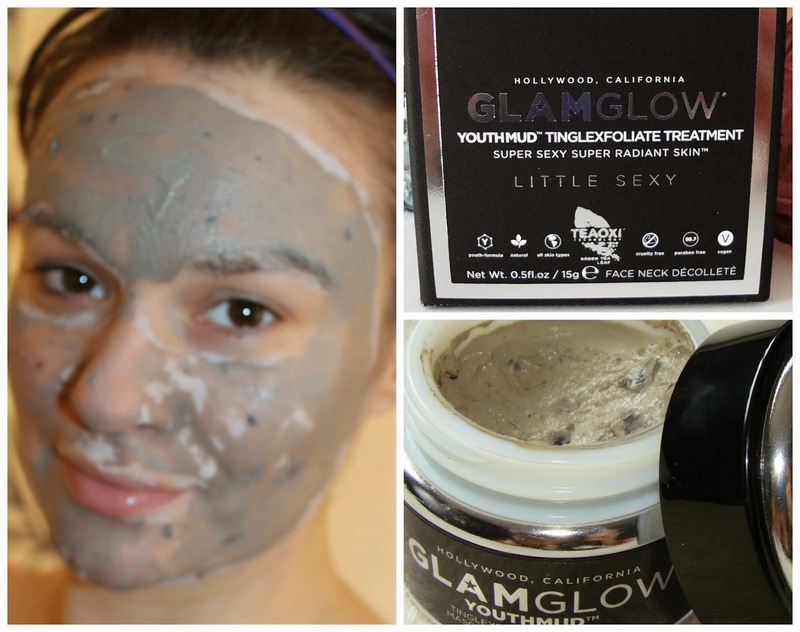 Have you tried the GlamGlow Youthmud Tinglexfoliate Treatment yet? What do you think? And more importantly any dupes out there? Let me know!